Given the European interests they were based on, it’s amazing that the Middle East’s borders have survived this long. With the institutions of government in Iraq and Syria failing to maintain legitimacy with their people, the central authorities appear to become just another organized armed group in the region’s chaotic power struggle. 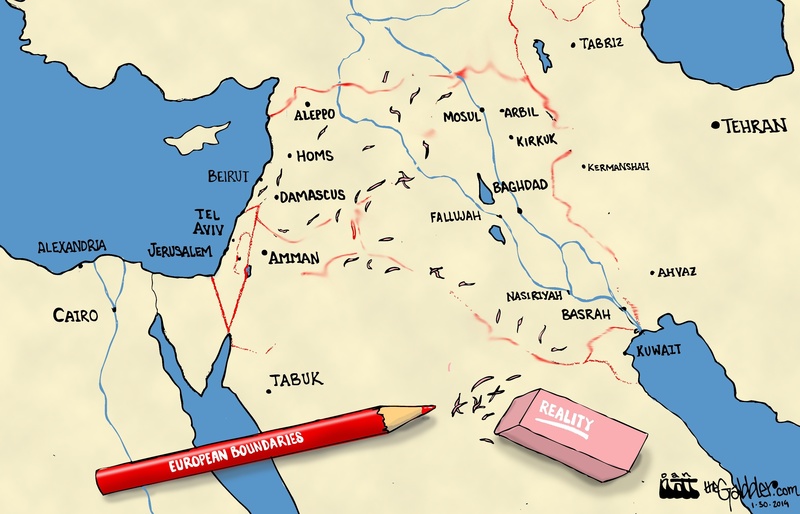 While re-drawing the map isn’t currently being discussed, the inability of the Iraqi and Syrian central governments to control their official territory demonstrates just how unsubstantiated these antiquated and foreign boundaries really are.